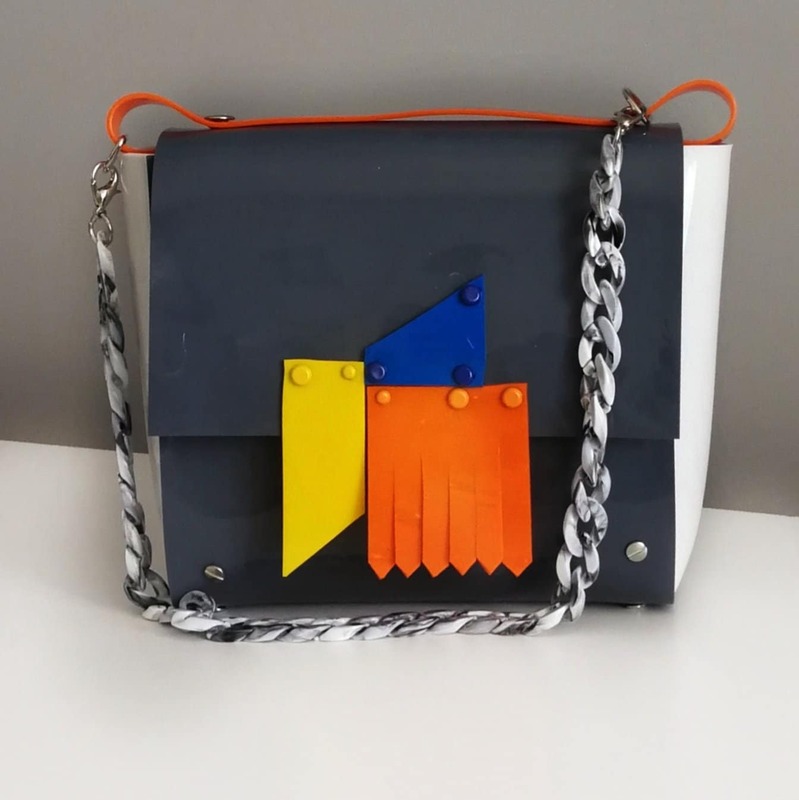 A classic medium sized briefcase, inspired by abstract art, geometry and some lego blocks :) Graphite front, white sides, acrylic marble chain and orange accents define the style of the handbag. 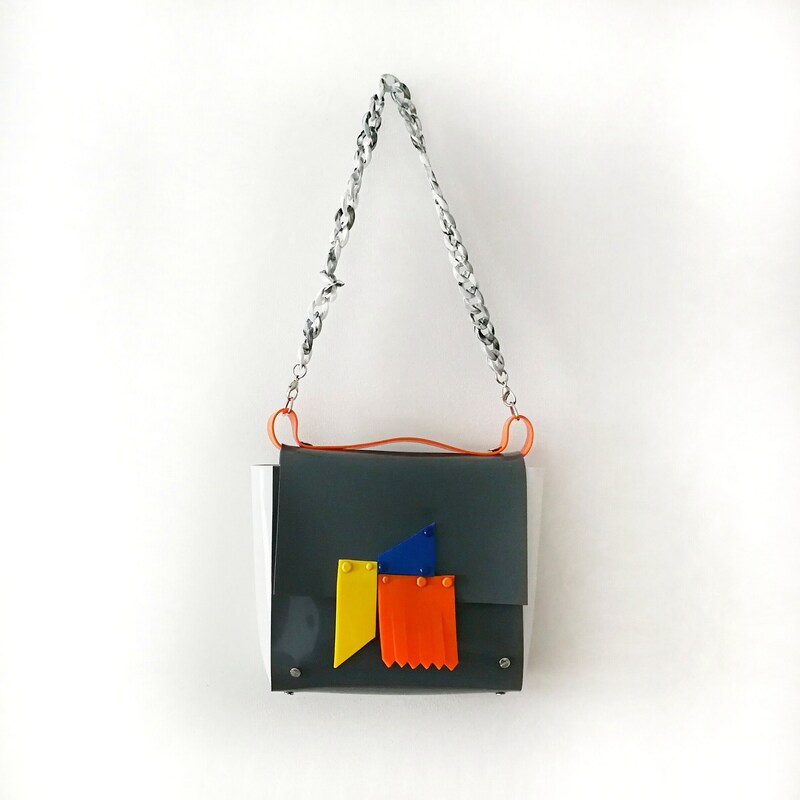 It's a great addition for people who love to play with fashion, great to play sneakers and ultra-elegant high heels. 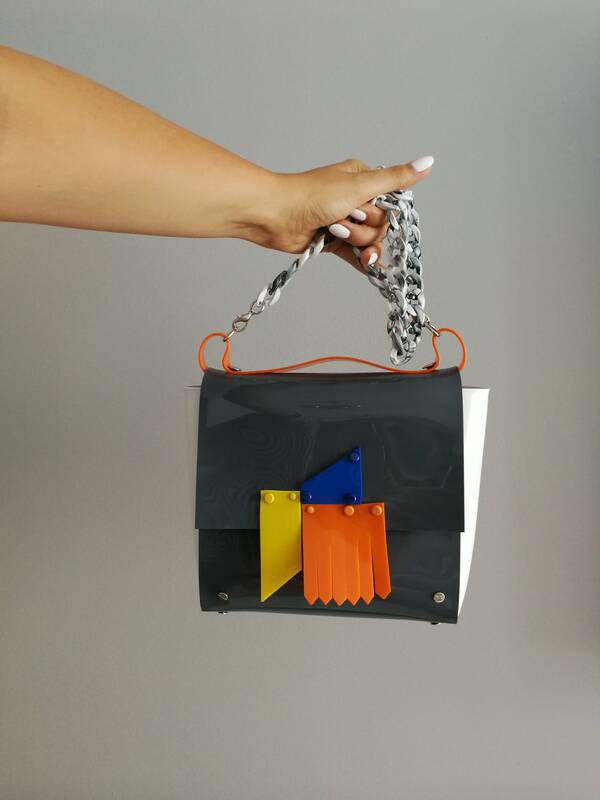 This gift will be appreciated by a fan of art and fashionista.